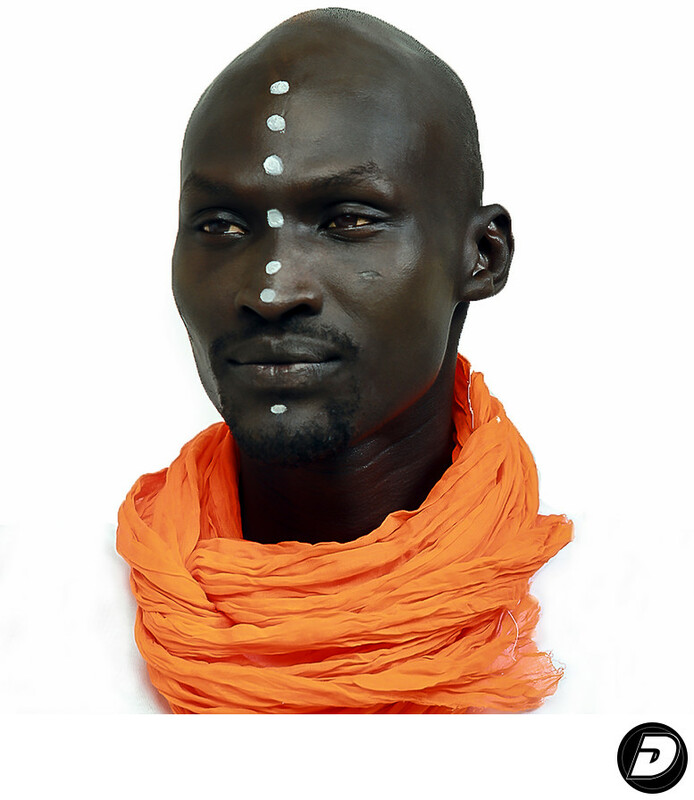 Sudanese Man Portrait Photographer, photograph this black skin male with his beautiful skin that plays of the orange color cloth wrapped around the neck. Contact New York Portrait photographer. Donn Thompson / Dracinc for your professional Portraits photo shoot. Location: 351 Saint Nicholas Ave., New York, NY 10027. 1/250; f/6.3; ISO 50; 175.0 mm.